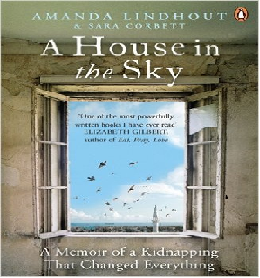 An amalgamation of bad fate and ones strength to survive against all odds.Its a memoir of Amanda Lindhout beautifully portrayed by words of Sara Corbett. The story completely revolves around Amanda the protagonist of this novel.She is perky and vivacious, she wants an adventurous life; a life spent on her own terms, her quest of traveling takes her to Latin America, Laos, Bangladesh, and India, and after that went on to Sudan, Syria, and Pakistan. In war-ridden Afghanistan and Iraq she carved out a fledgling career as a television reporter. Amanda managed to travel with help of her hard earned money working as cocktail waitress. Each tip saved made her decision to traverse the globe more firm. Her life crumbled into small pieces in August 2008 when she traveled to Somalia—“the most dangerous place on earth.” She along with her friend was abducted on 4th day itself. Amanda’s 460 days of captivity is full of gruesome act by Somalian captors, her conversion to Islam, her contact with Quran(only book at her disposal), deceive by own friend and unending pain. This novel has a great message;to fight till your death. There was no ray of hope but still Amanda survived ghastly 460 ill fated days of her life.